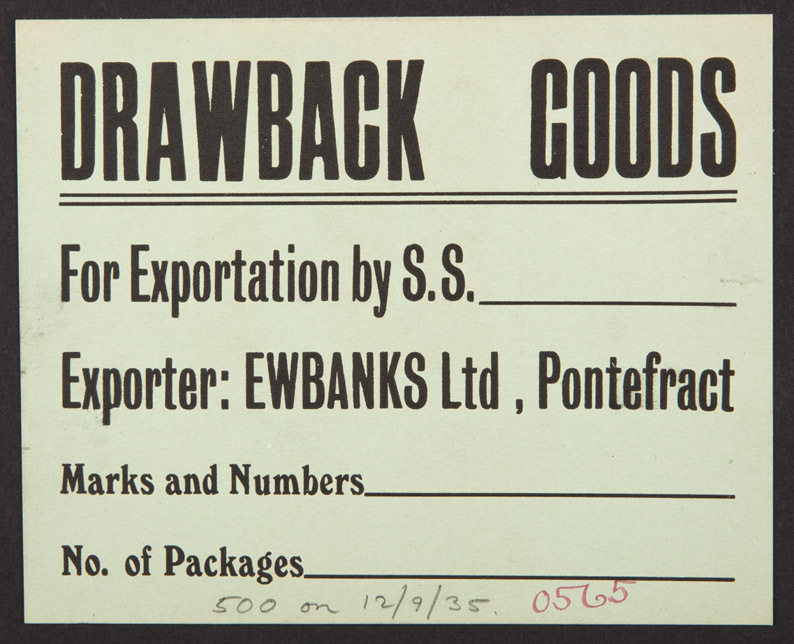 Transport label for confectionery company Ewbanks Ltd. Thomas Firth set up Pontefract’s second liquorice factory based in Elephant Yard, in 1810. The founder was eventually succeeded by Mr David Longstaffe, who later sold to Mr Robert Ewbank and Mr W. R. Horsfall. Under Mr Ewbank’s direction the company grew and expanded. In 1913 the business was purchased by a group and formed as a private limited company. In January 1961 the business merged with the toffee manufacturers Arthur Holland of Southport and closed four years later.